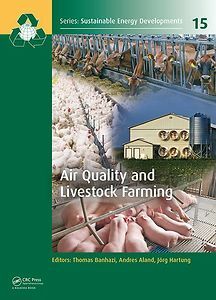 Air quality has a direct influence on health, welfare and production performance of livestock as the high concentrations of noxious gases, dust and airborne microorganisms are likely to reduce production efficiency and the general welfare of farm animals. Long term exposure to particulates in livestock buildings might also affect the respiratory health of farm workers. Dust in animal buildings contains many biologically active substances such as bacteria, fungi, endotoxins and residues of antibiotics (as a result of veterinary treatments) that are suspected to be hazardous to human health. Furthermore, air pollutants emitted from livestock buildings can reduce air, water and soil quality and can potentially undermine the health of nearby residents. Airborne emissions include ammonia, methane, nitrous oxide, particulates like dust and microorganisms. In addition, other potentially harmful substances such as heavy metals, antibiotic residues and components of disinfectants might be also emitted from livestock building that are potentially damaging to ecosystems. 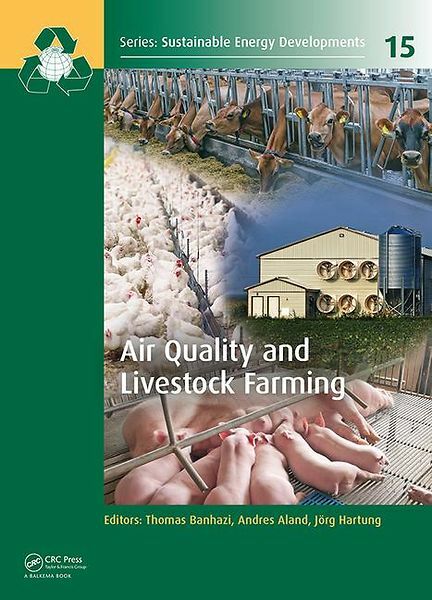 In this book, key aspects of agricultural air quality, such as monitoring, managing and reducing airborne pollutants in and around livestock facilities are reviewed. This book will be useful for farming professionals, academics, students, policy makers, business leaders, regulatory bodies and agricultural consultants.